Founding Director, Scott Stenhouse, has recently been an integral part of Asia Pacific’s first upgrade to PeopleSoft HCM v9.2. We asked him a few questions regarding the project and though we are unable to go into too much detail, we hope his answers can be helpful to those considering a similar undertaking. 1) Considering this was Asia Pac’s first 9.2 site, where did you source the skill sets to complete the implementation? Did you have support from Oracle or was it supported by internal consultants? We went to a vendor to provide the majority of the resources, which were supplemented by a number of internal staff members and some additional contractors from the market. There was limited 9.2 experience in the market so we had to ensure there was strong 9.1 experience in the mix. 2) What was the upgrade path you took? There was no direct upgrade path, we had to do a double upgrade from 8.9 to 9.2. 3) What were the biggest obstacles you faced regarding infrastructure? Did you have any new hardware requirements? We originally were going onto the same hardware as our previous version, but Management made a decision part way through to move the middleware onto x86-6 machines running windows. 4) What advice would you give to others considering the upgrade? Planning is the key in this type of project, ensure that your planning is complete and nothing is forgotten. 5) Now that it has gone live, what have been the user benefits? What new functionality or enterprise mobility does v9.2 offer? Improved speed and performance, the use of Dashboards, pivot grids are all good for the end users. 6) What ROI expectations does the business have now it has gone live? There are no expectations at the moment. The main reason for the upgrade was to maintain legislative support with Oracle, as the previous version was no longer supported. 7) Anything else you would like to add? 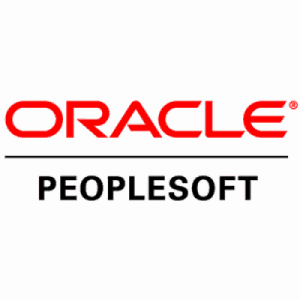 Spend some time understanding what is in PeopleSoft HCM v9.2 before the upgrade and ensure you build the new features into the roll out of the upgrade before you begin. There is little point having to find more budget after the fact otherwise. Make sure you have your upgrade strategy in place for PUM prior to starting the upgrade. 8) So what are these great new features? For recruiting, the compensation cycles for HR/Compensation is now configurable along with Candidate Gateway site configuration and branding. Desktop integration of Absence Management with Microsoft Outlook as well as an Absence Management workcenter, which can be used by administrators to monitor the statistics of a payroll/absence run. This should reduce the cost of maintaining the system in the long run by improving the usability of the system for back office population. They have also included HTML inline approvals for Absence Management which assists managers to take an approval action for Absence Management directly from an approval email. In Time and Labor a separate role based work centre has been included. This allows managers and administrators to apply rules and timesheet lockdowns. They have also added a new alert and notification framework that allows managers to set up one time or recurrent notifications for things like employees exceeding an overtime limit for instance. As with any system it could go further but it is a leap ahead of the last version.